Huawei has unveiled the CloudEngine 16800, a high-capacity data center switch that the company asserts will leverage artificial intelligence to improve performance. The latest member of the CloudEngine family, the CloudEngine 16800 will have three characteristics that define what Huawei calls “the Artificial Intelligence (AI) era”: an embedded artificial intelligence chip, support of 48-port 400 Gigabit Ethernet (400GbE) line cards, and the ability to help enable autonomous networks. "A fully connected, intelligent world is fast approaching. Data centers become the core of the new infrastructures such as 5G and AI,” said Kevin Hu, president of Huawei Network Product Line. “Huawei will first introduce AI technology to data center switches, leading data center networks from the cloud era to the AI era." Huawei says that current generations of switches based on traditional Ethernet enable realization of only 50% of potential computing power due to a packet loss rate of 1%. The AI chip within the CloudEngine 16800, along with the company’s iLossless algorithm that implements auto-sensing and auto-optimization of the traffic model, lower latency and improve throughput thanks to zero packet loss. AI computing power thus increases to 100% while data storage input/output operations per second grows 30%, Huawei asserts. The AI capabilities also combine with Huawei’s FabricInsight centralized network analyzer to enable a distributed O&M architecture that can identify faults in seconds and automatically locate the faults in minutes, the company says. Meanwhile, the new data center switch features what the company says it the highest density 48-port 400GbE line card available as well as 768-port 400GbE switching capacity. The switch design enables a 50% reduction in power consumption per bit, Huawei adds. 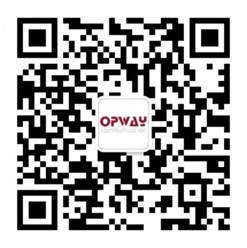 Booth：5329 Time：2019/3/5~3/7 Add：San Diego Convention Center, San Diego, California, USAWelcome to OPWAY Booth!For more information,please visit our website:www.opwaytech.com. Booth：C32 Time：2018.11.13~15 Add：Cape Town,South AfricaWelcome to OPWAY BoothFor more information,please visit our website:www.opwaytech.com. OPWAY has successfully identified as “High-speed Optical Module Engineering Research Center"